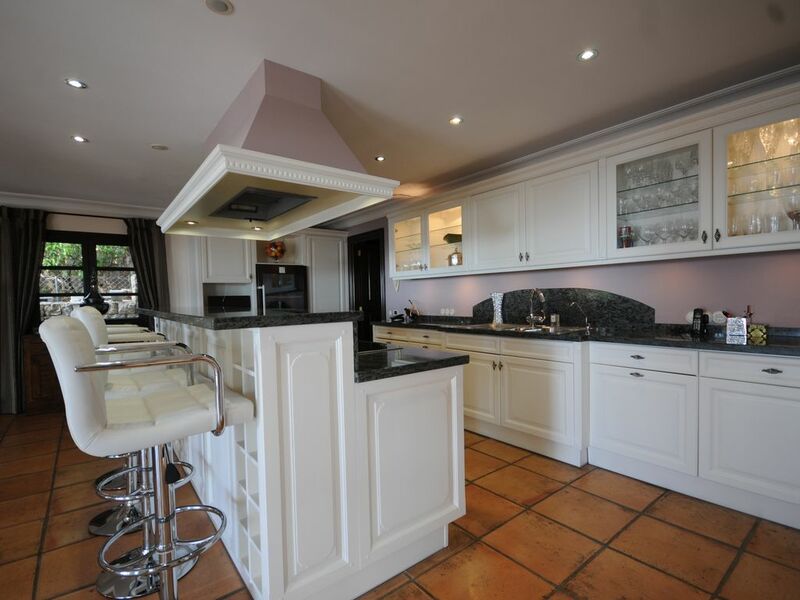 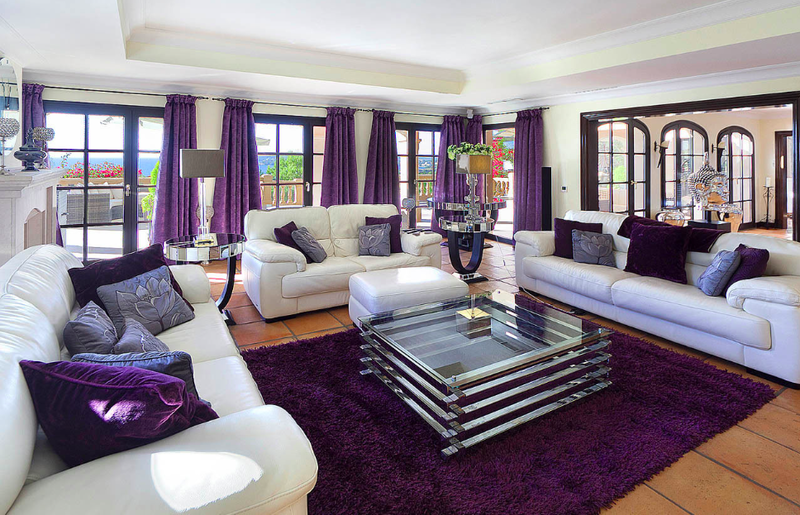 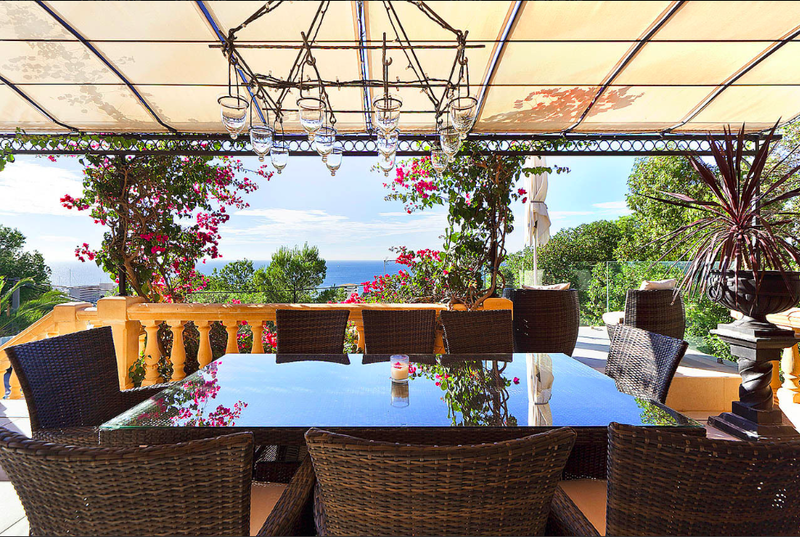 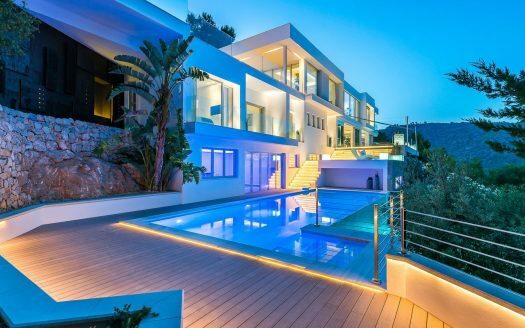 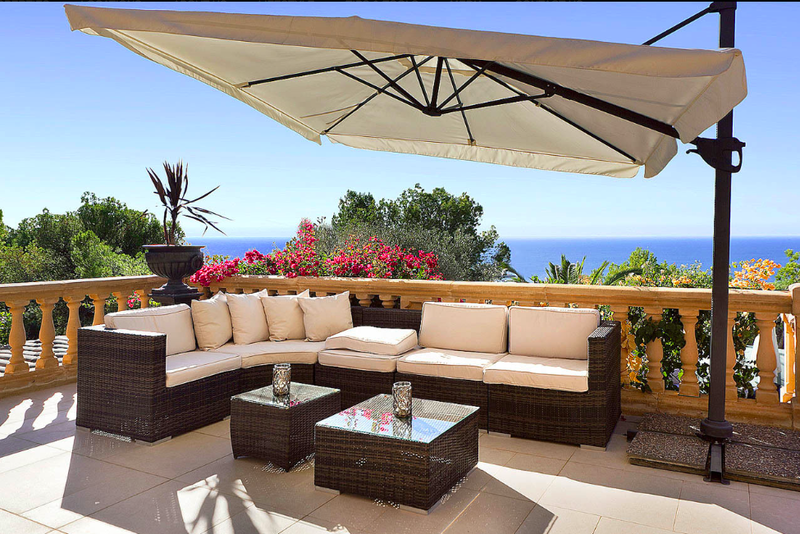 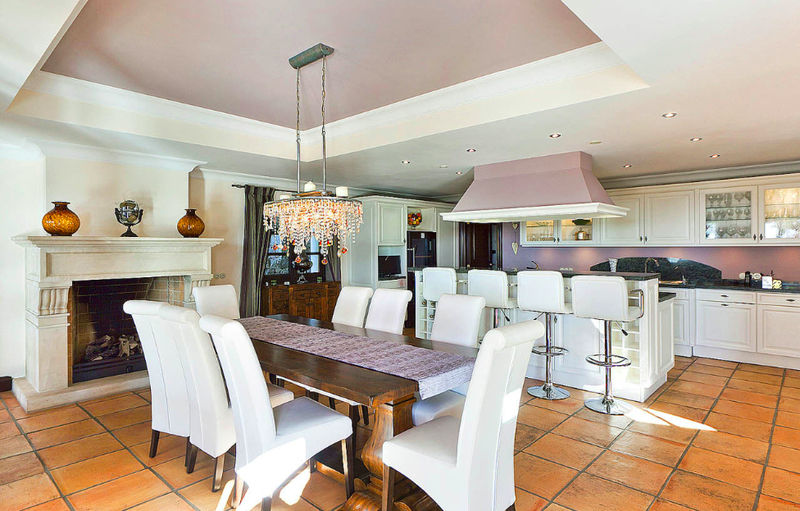 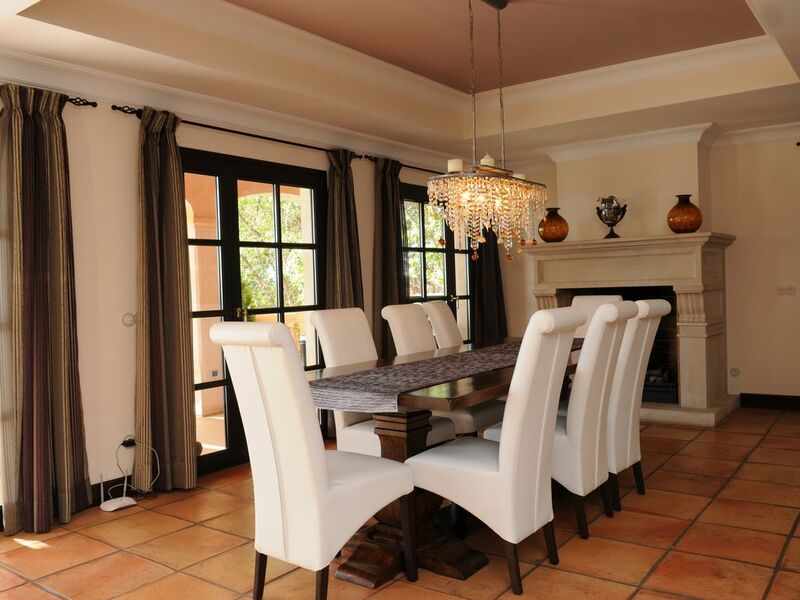 This stunning 5 bedroom, 5 bathroom sea view villa in Costa Den Blanes enjoy’s spectacular panoramic views to the open sea from its elevated position. 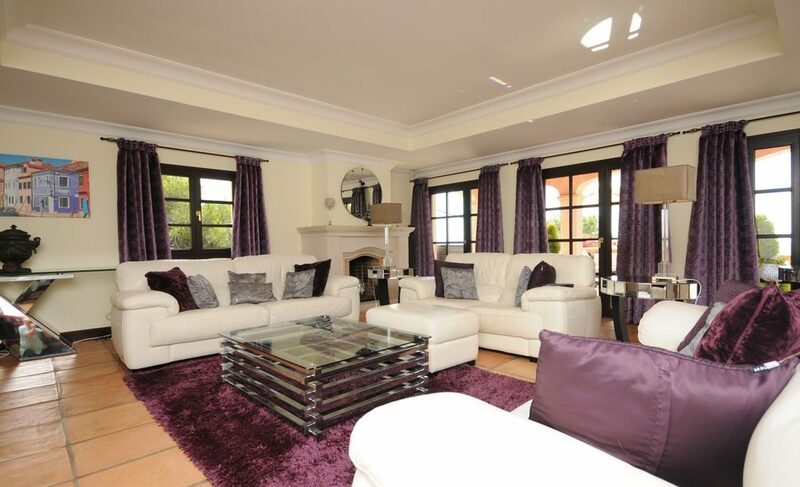 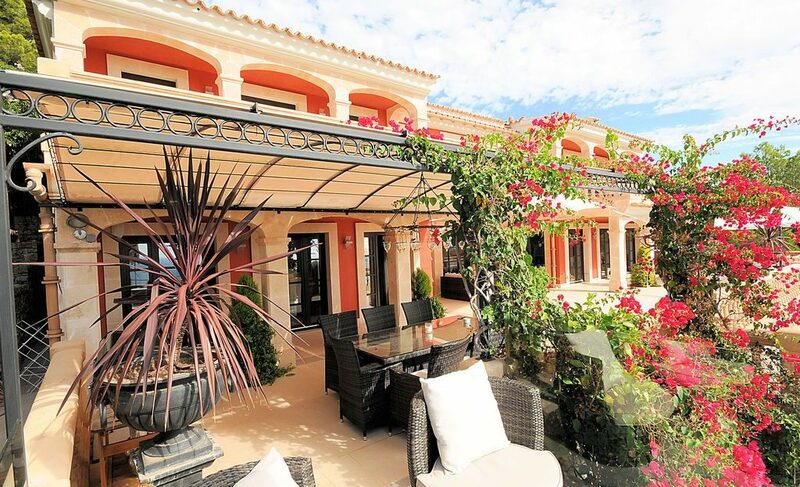 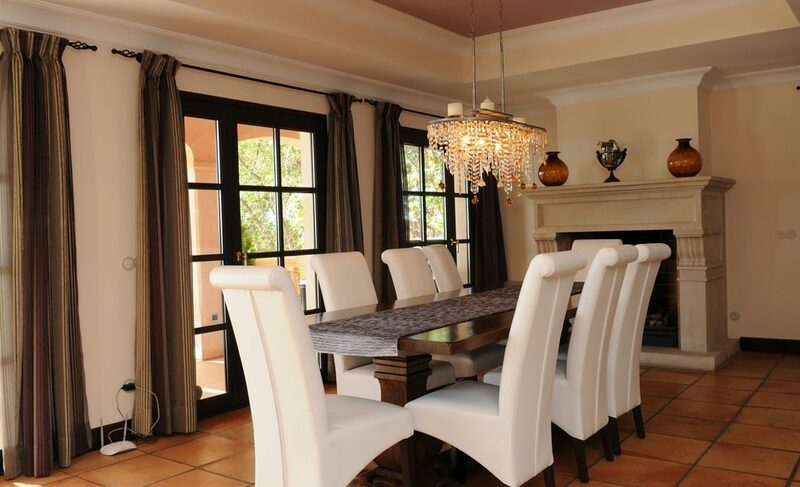 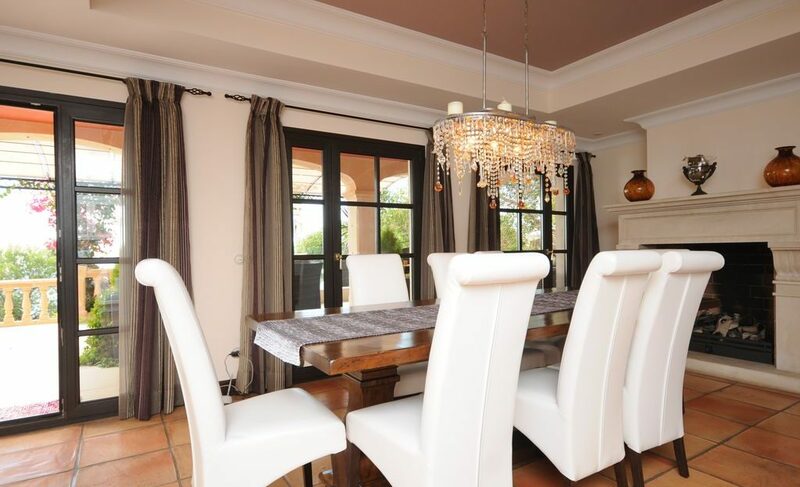 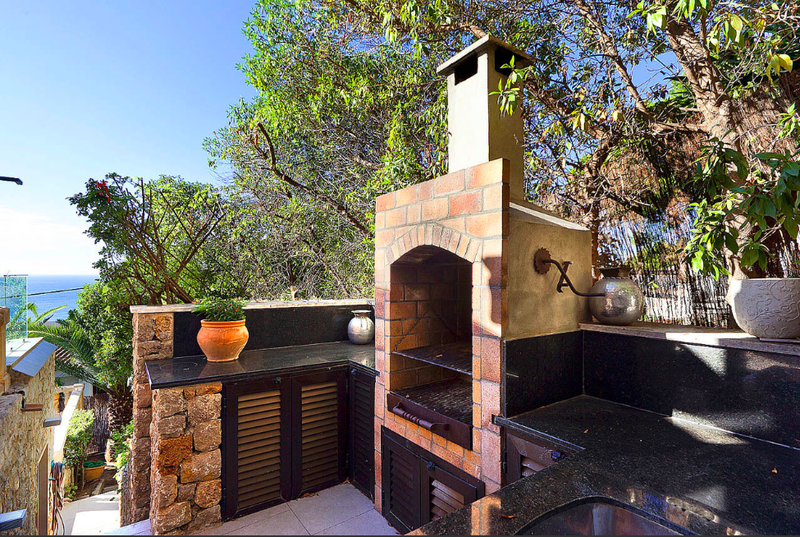 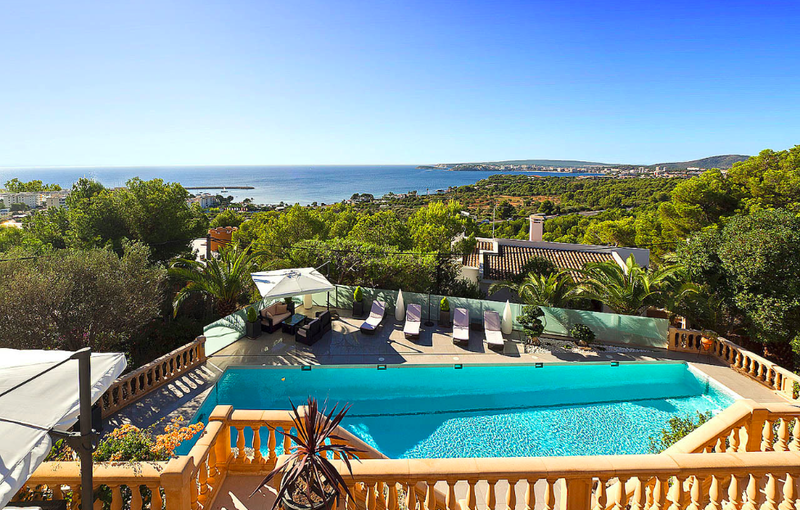 The distribution of this villa is as follows: – approached via a secure driveway to a double garage, access to an impressive sea view entrance hall, living room with fireplace, fully fitted live-in kitchen with a dining area, an open fireplace and a spacious laundry and utility room. 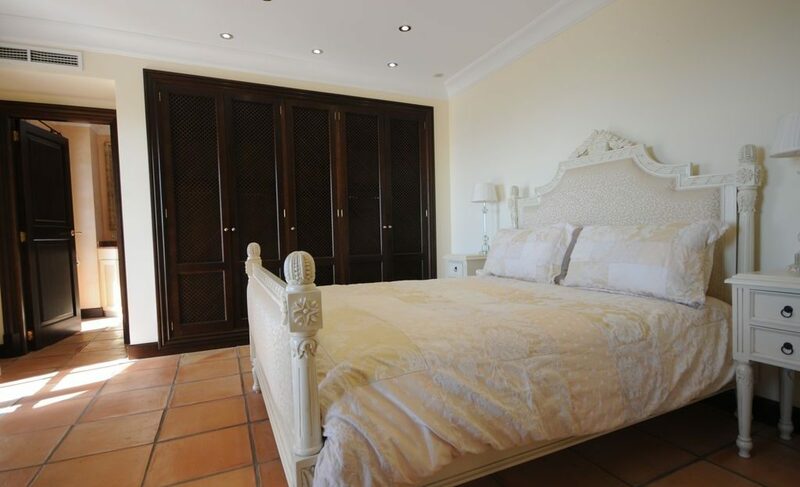 This entrance floor level also comprises an office, a cloak room and a guest WC. 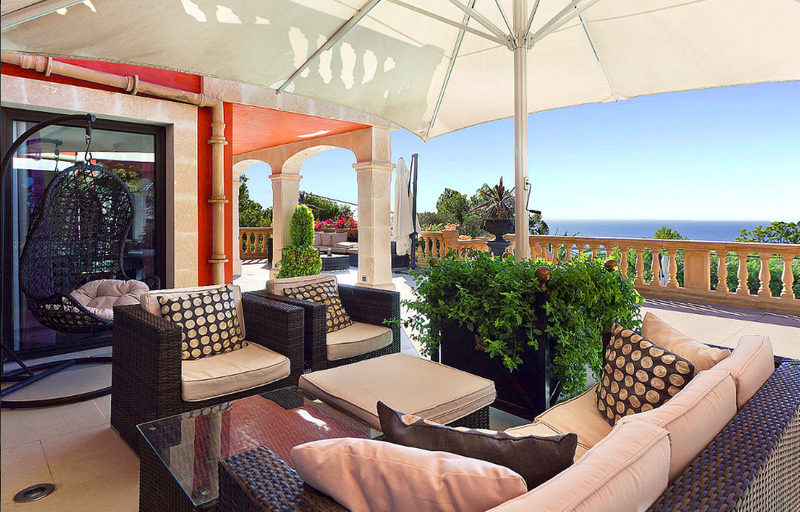 All main living rooms of this entrance floor level open onto the partially covered south-facing terrace enjoying incredible sea views, a summer kitchen with BBQ and a Jacuzzi. 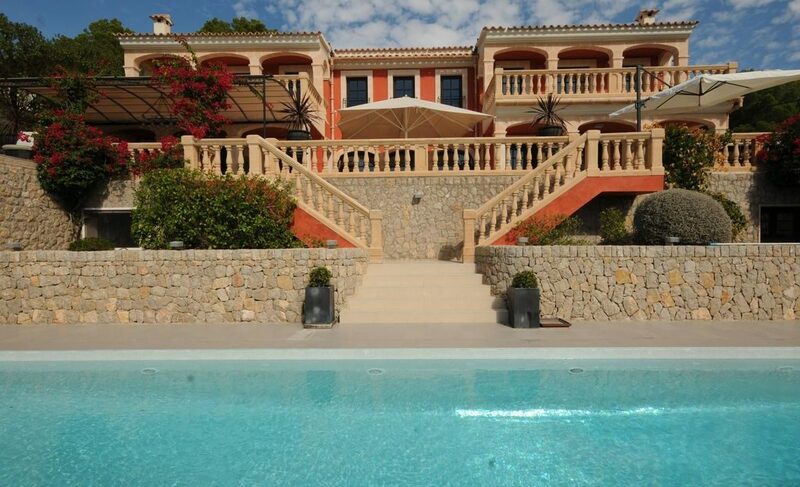 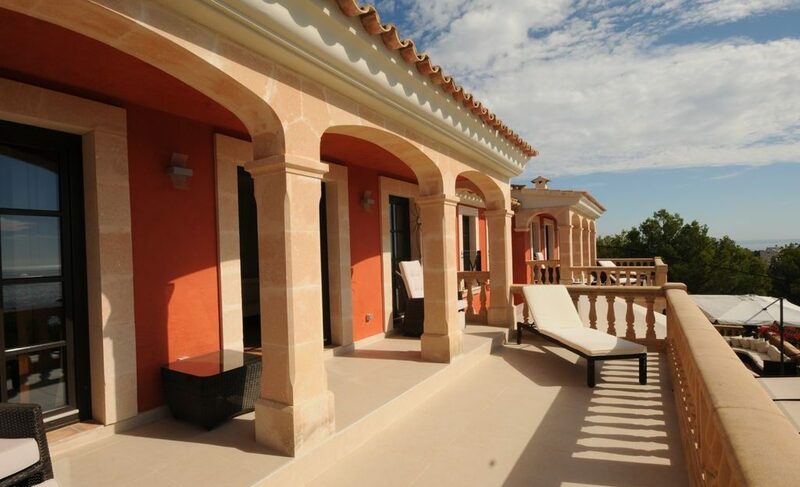 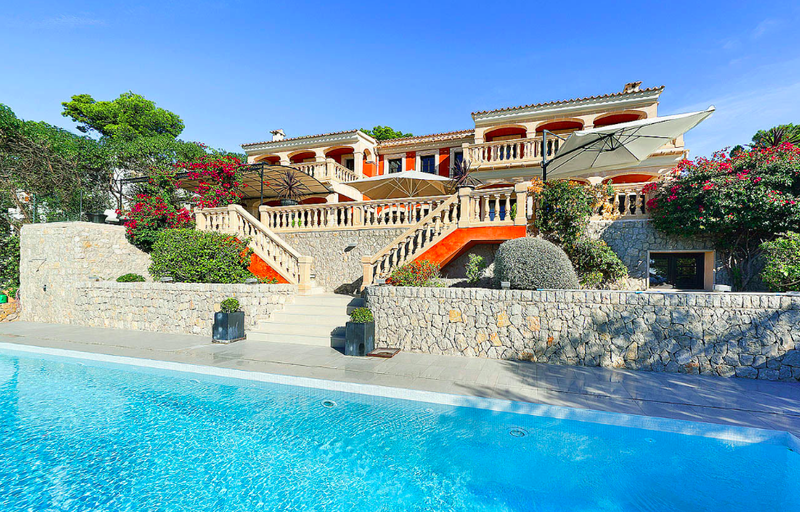 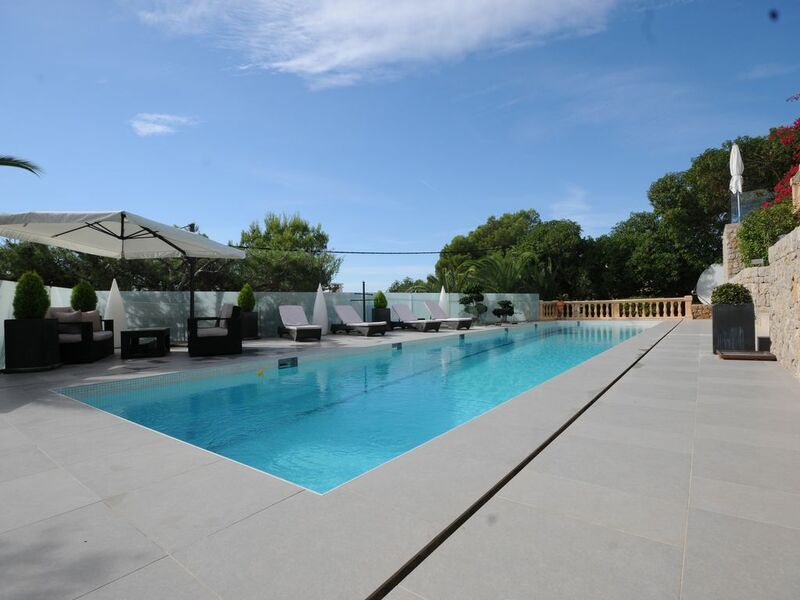 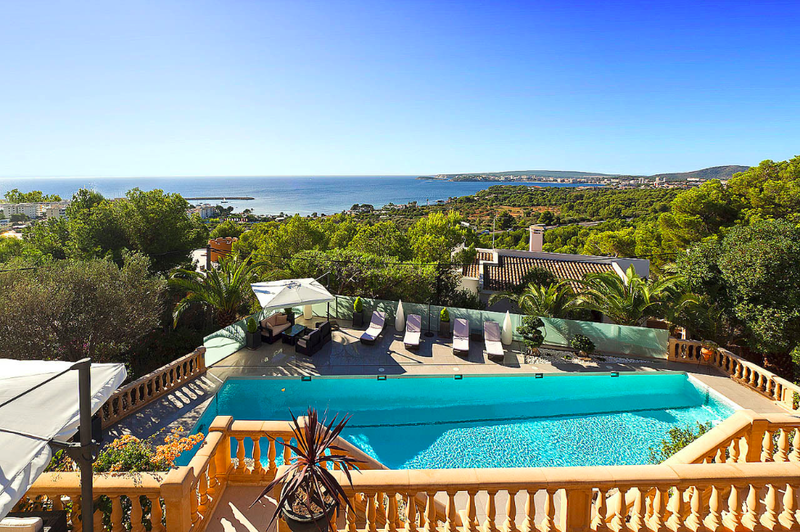 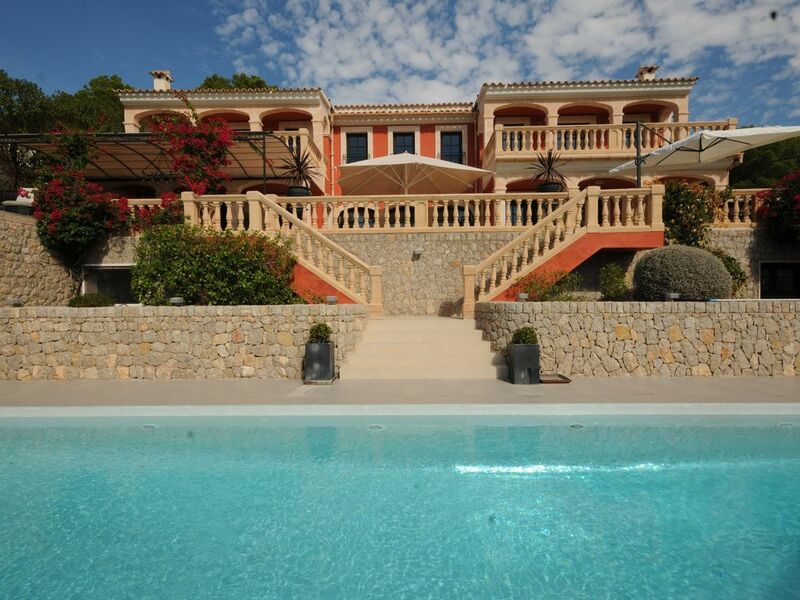 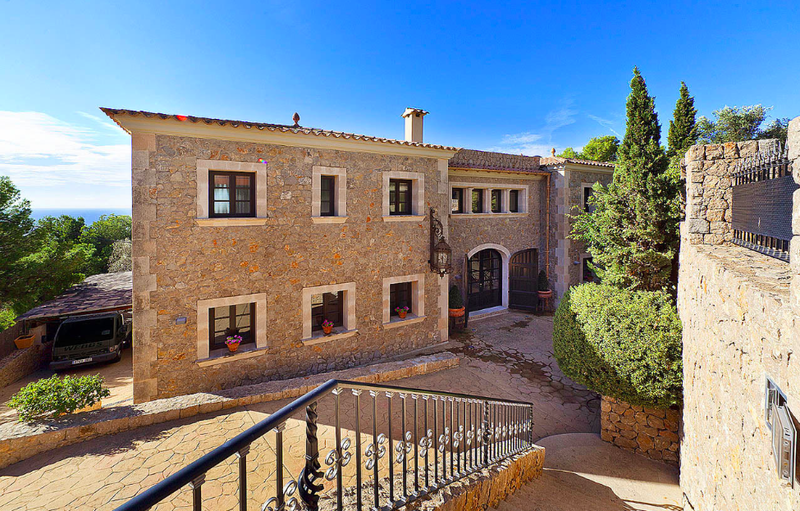 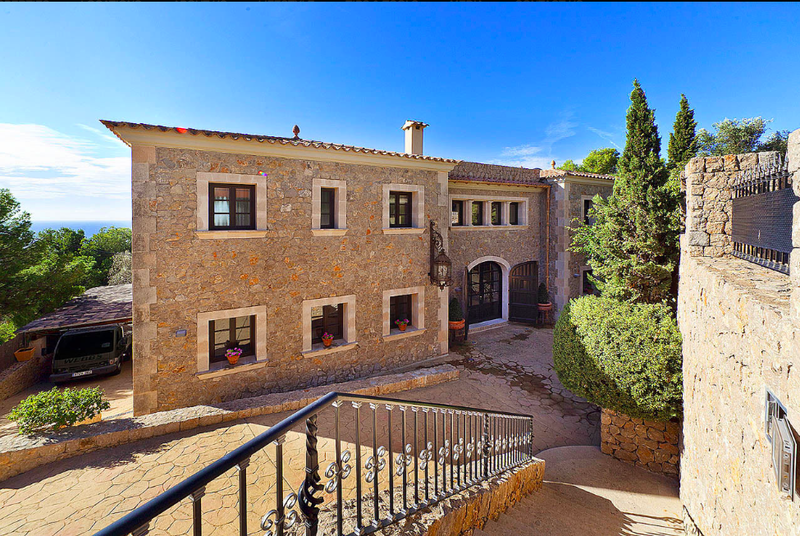 A few steps lead down to the swimming pool with an adjoining sun terrace. 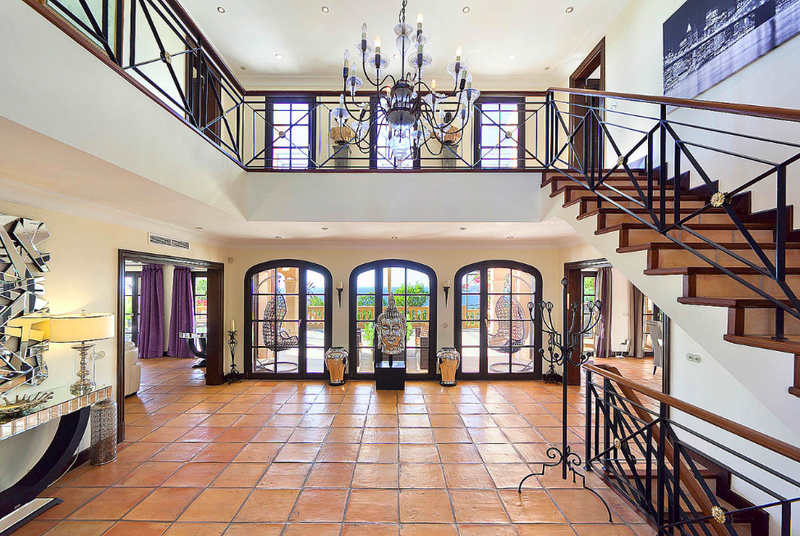 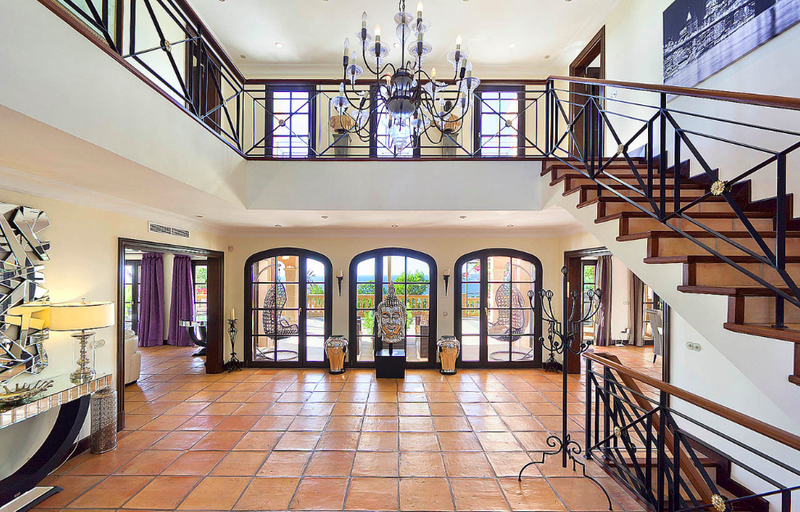 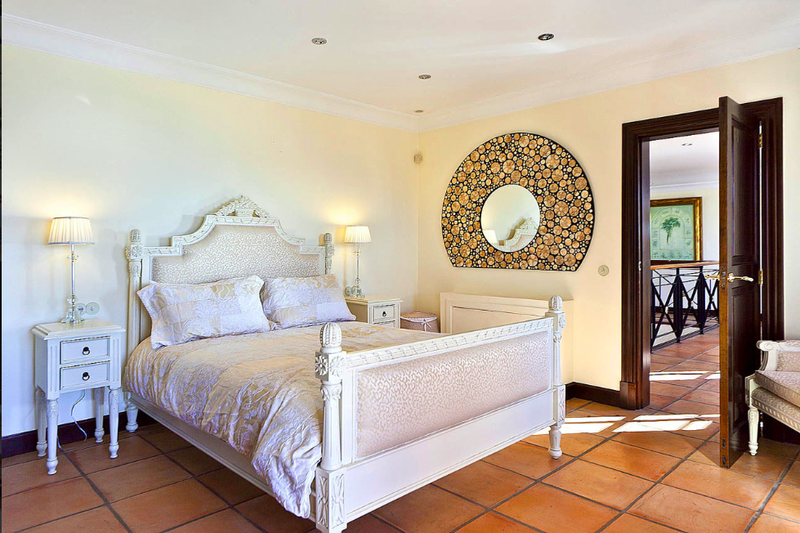 A staircase off the entrance hall leads to the first floor level gallery and to the master bedroom suite with a walk-in wardrobe, a superb en-suite bathroom and a private, partially covered terrace overlooking the pool to the sea. Additionally there are 2 further bedrooms with en-suite bathrooms and one with access to a partially covered sea view terrace. 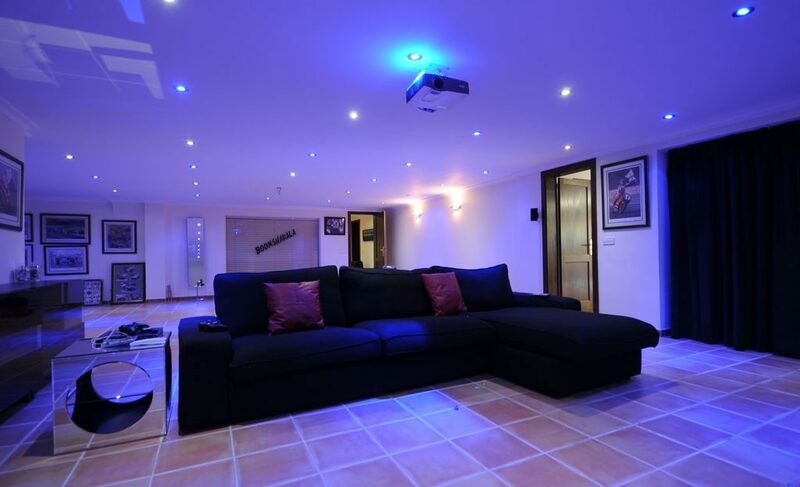 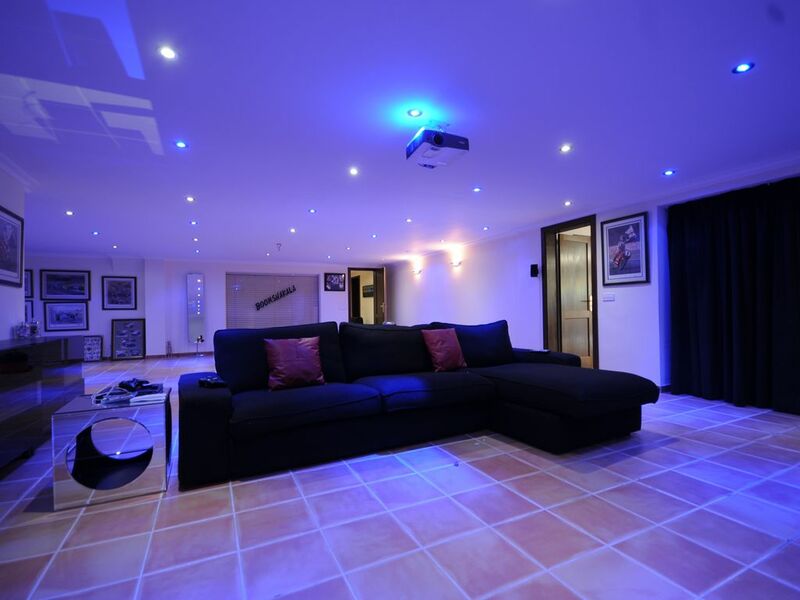 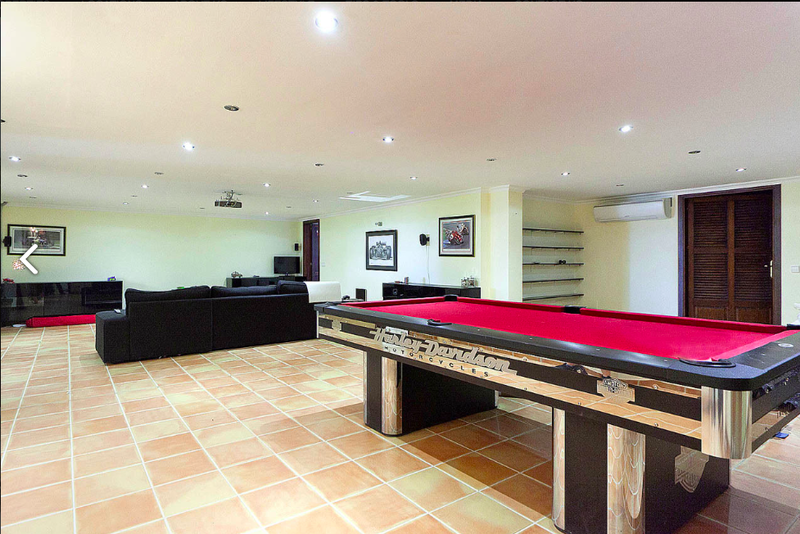 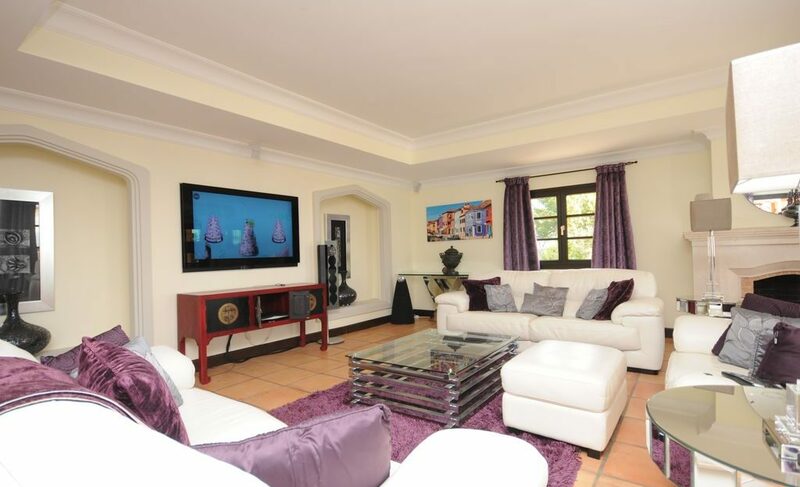 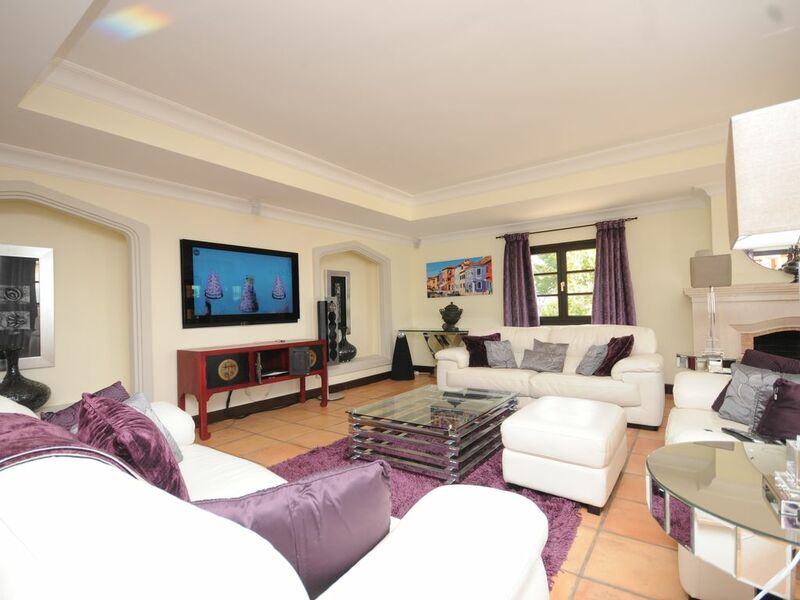 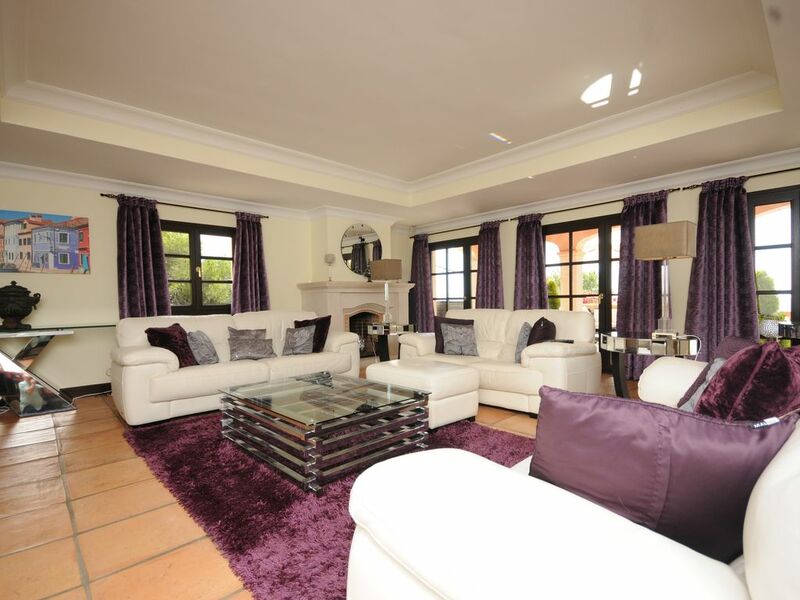 The ground floor level comprises a very spacious games room with a home cinema, a sauna and a store room. 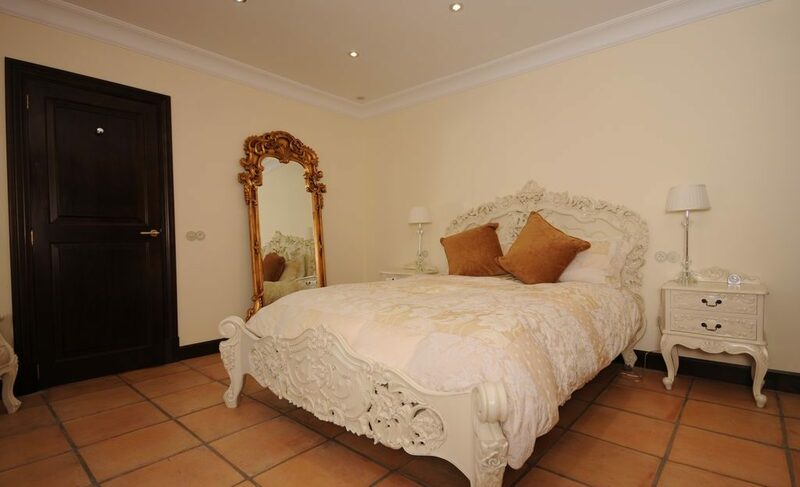 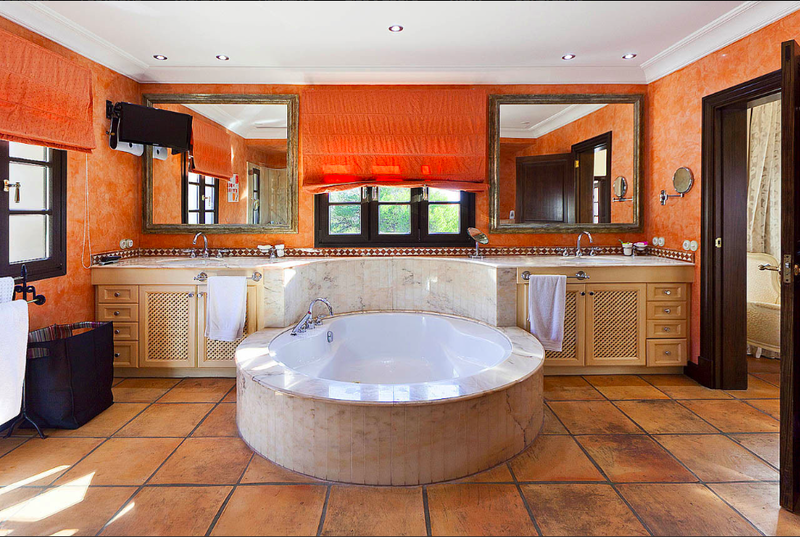 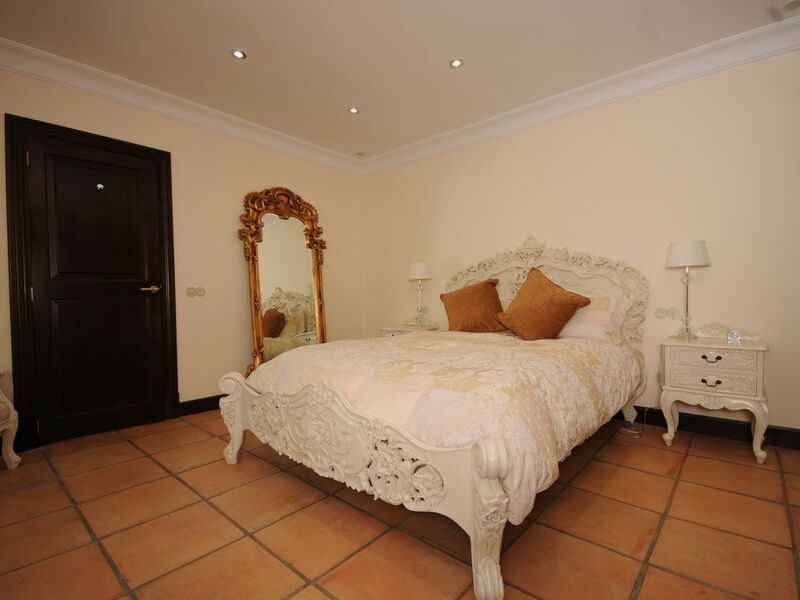 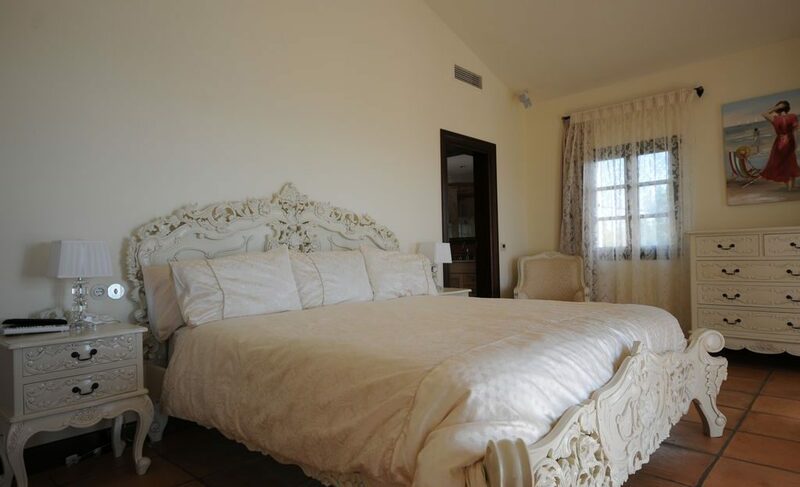 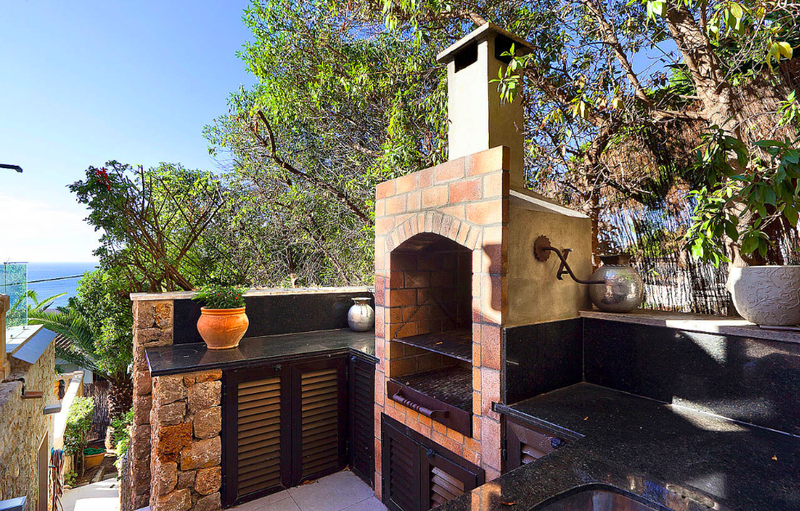 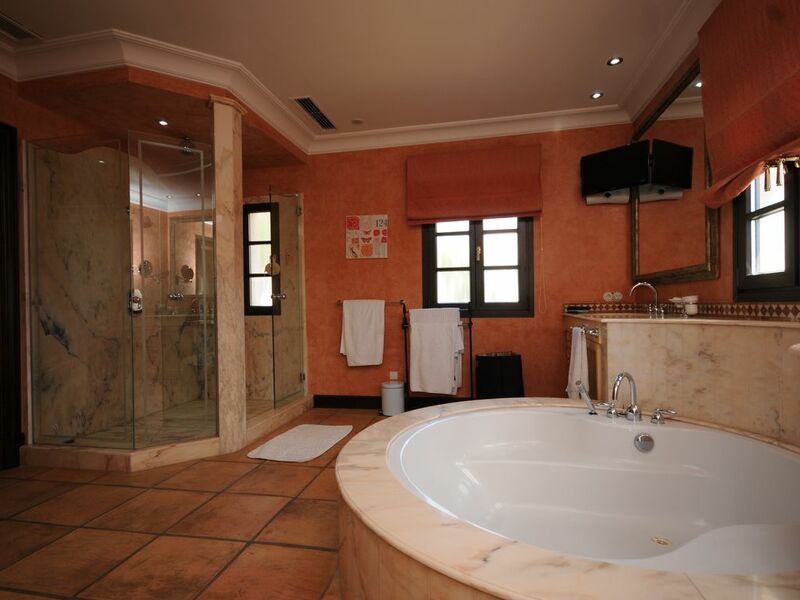 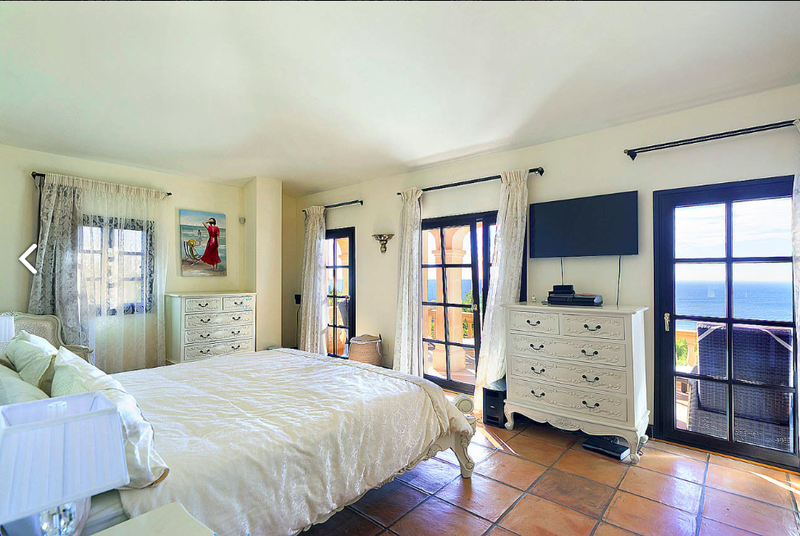 In addition there are two bedroom suites, each with access to the gardens and pool area. 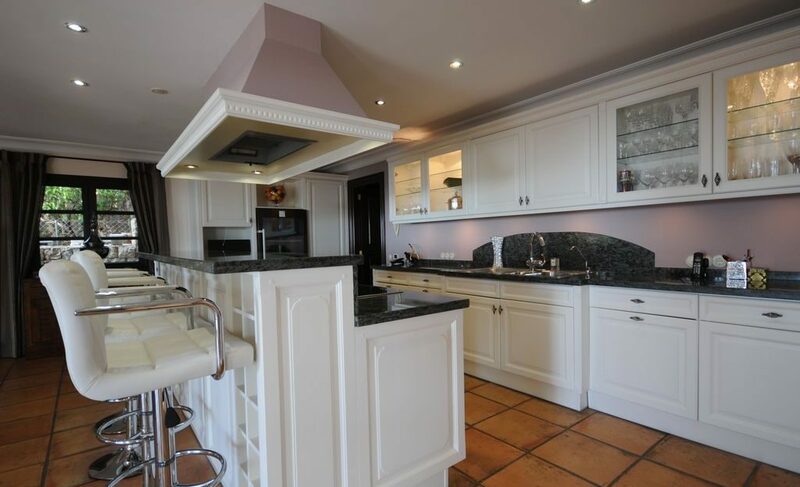 Additional features include, hot & cold air-conditioning, underfloor heating with heatpump, fitted wardrobes, an alarm system and a double garage. 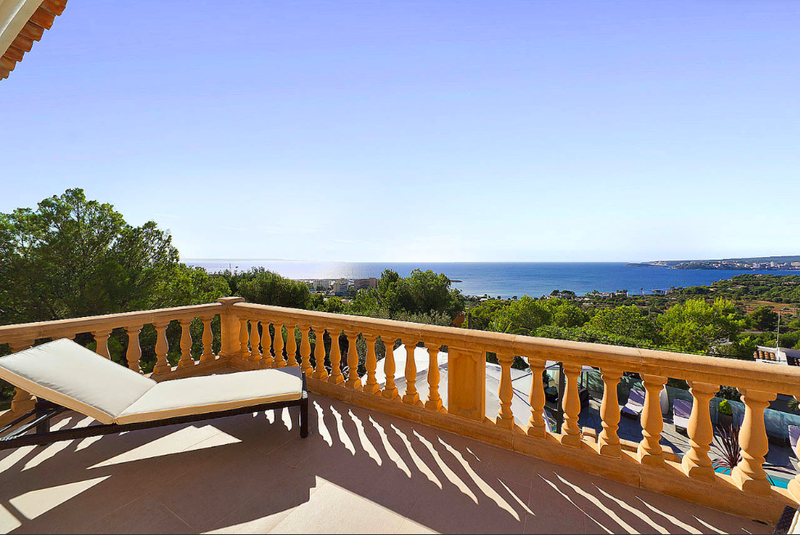 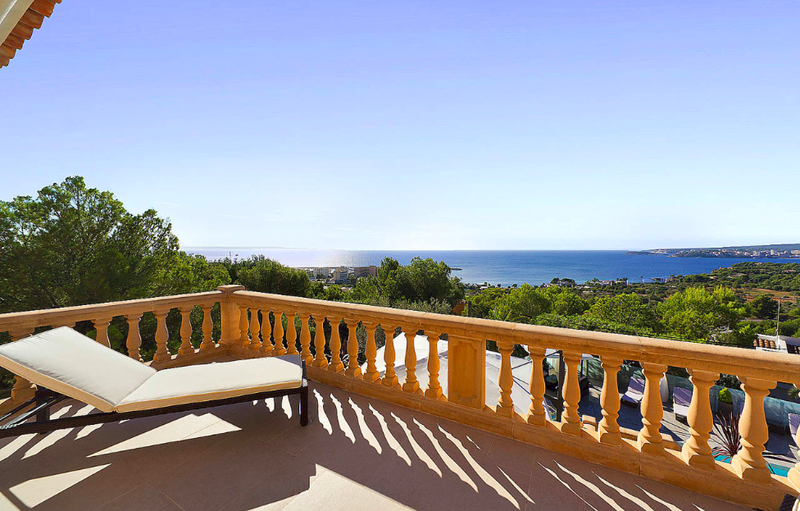 The exclusive residential area of Costa D’en Blanes is located 2 minutes above the fashionable harbour of Puerto Portals and only 10 minutes west of the old city of Palma. 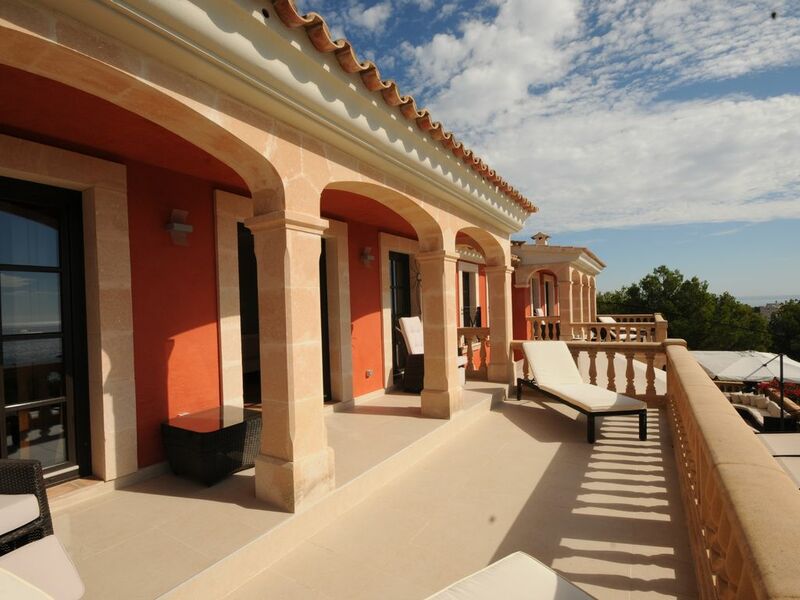 Close-by is a number of excellent golf courses. 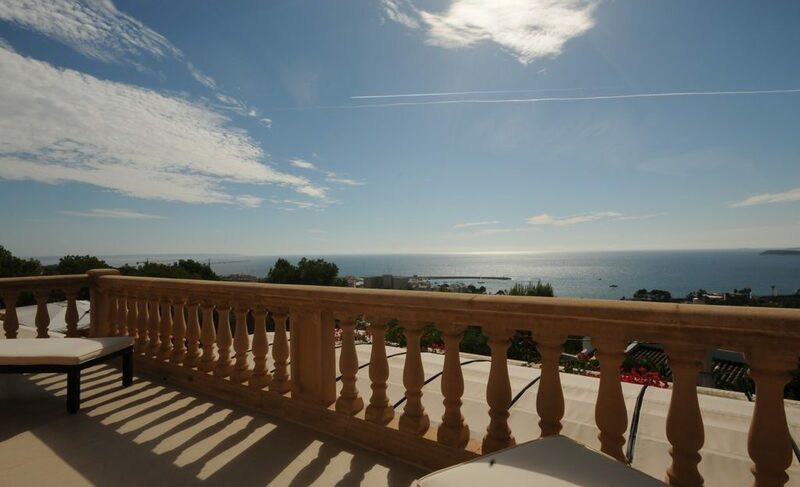 Excellent 2 bedroom apartment with great sea and harbour views in Puerto Portals.